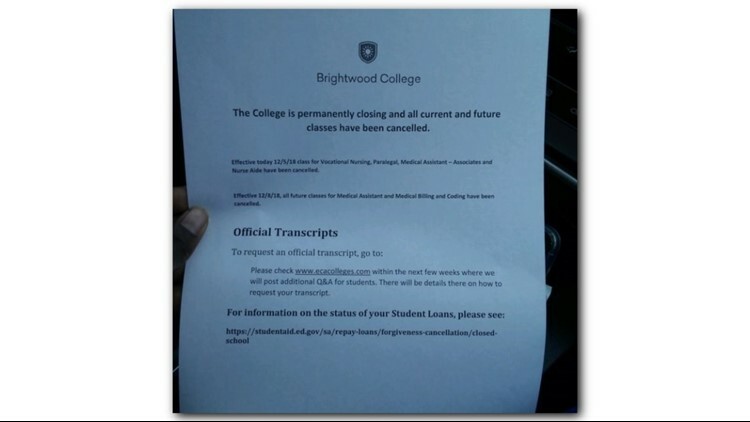 Students from Brightwood College were surprised to learn that the vocational school was permanently closing its doors. 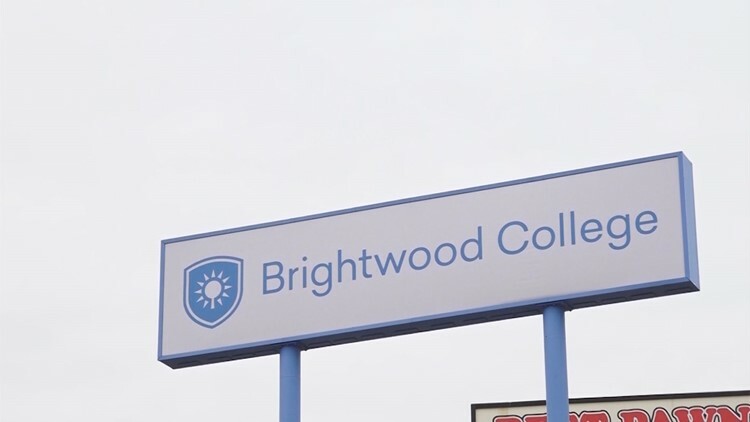 SAN ANTONIO — Students and local staff from Brightwood College were surprised to learn that the vocational school was permanently closing its doors. The decision and announcement was made by the national company Education Corporation of America. A letter was distributed to students Wednesday when they showed up for class. The letter reads in part, "The College is permanently closing and all current and future classes have been cancelled." The letter also reads, "Effective today 12/5/18 class for Vocational Nursing, Paralegal, Medical Assistant-Associates, and Nurse Aide have been cancelled." The college is a for-profit business with two locations in San Antonio. The Corpus Christ Caller Times is also reporting the closure of the Corpus Christi campus. The college joins a list of several other vocational colleges to close in San Antonio. In 2016, ITT Technical College and Career Point College suddenly closed. In 2017, another vocational school, Vantage College, also closed. After many years of training students for new careers, it is with a heavy heart that today we announce that Education Corporation of America (ECA) is closing all its career colleges effective with the completion of the current module or term for most students. We will work with students to ensure access to their transcripts so they can complete their studies at another school. We are proud of our thousands of graduates who have entered the workforce with skills they acquired at our schools along with our faculty and staff who have shown unwavering support for our students. This is not the outcome that we envisioned and is one that we recognize will have a dramatic effect on our students, employees, and many partners.